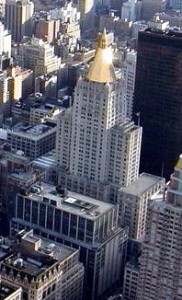 Construction on the New York Life Insurance Building was completed in 1928. Its combination of a gold pyramid roof and Gothic details makes it a great example of the Art Deco/Moderne movement. It stands 615 feet tall, contains 40 floors, and occupies an entire block in Manhattan. Additionally, the building was declared a National Historic Landmark in 1972. 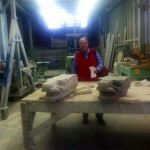 Recently, renovations have become necessary to maintain the landmark and Petrillo Stone Corporation was hired to handle the job. 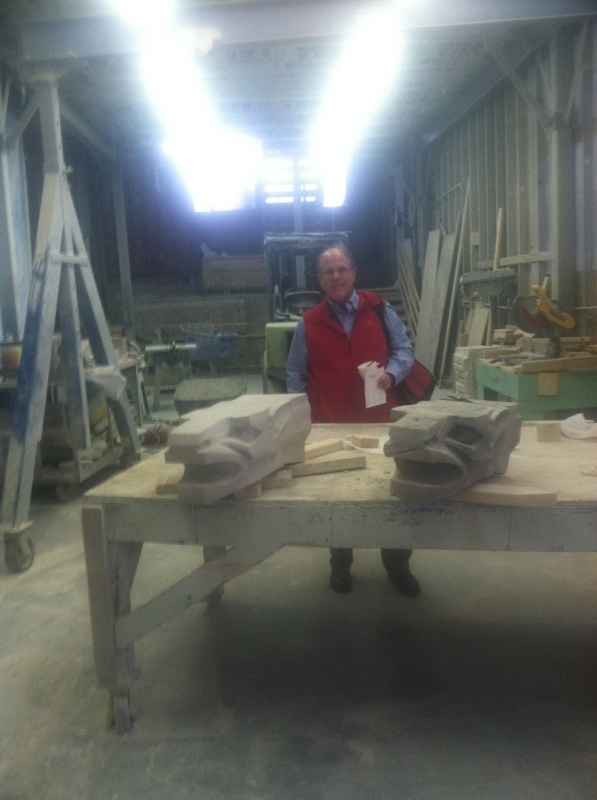 In the photos in this post, you can see one of the original gargoyles from the New York Life Building (And our very own Ralph Petrillo in the background). Next to it, you’ll see the replica we made. Can you tell the difference? Hint: Ours looks much newer. We carved this exact copy out of Indiana limestone and will sandblast to give it a weathered look. Both gargoyles will be re-added to the building’s exterior. We’re so proud and honored to lend a helping hand to an historic icon. This entry was posted in News, Projects on November 3, 2014 by Boom Visibility.